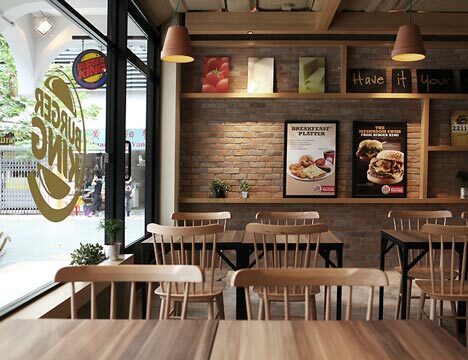 Over a year ago, McDonald’s upgraded their interiors by hiring a French designer. The upgraded French-born stores were imported into Tokyo as well. Together with 100-yen morning coffee campaign and a series of Americanflavor themed burgers ( Hawaiian, Texas, California) the new McDonald’s was talk of town for a while. Well, another fast foodburger retailer is doing the same. 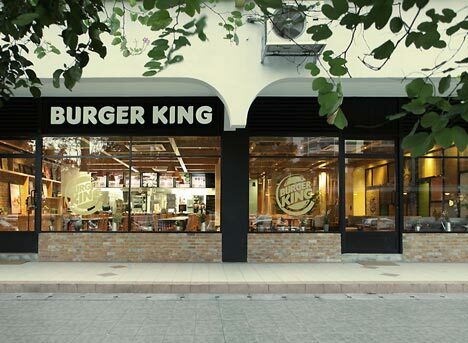 Burger King just opened a home of Whoppers in France that looks nothing like what we typically see in the US. 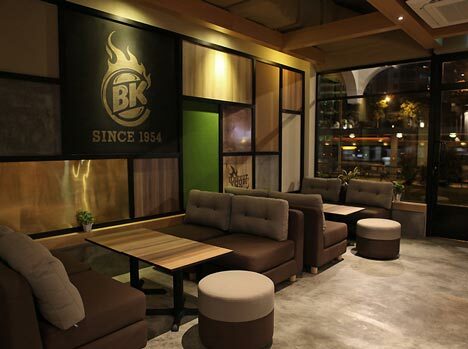 The New BK store is more like a modern cottage with comfy wood chairs, fireplace and earth-colored palette. But something about the space does remind you of grilling…. Even though much of it feels like a modern cafe. Maybe it’s the copper plates used on walls, maybe it’s the logo designed that looks like a burnt stamp. As with McDonald’s, no matter how sophisticated the store image is, a fatty burger is a fatty burger………. 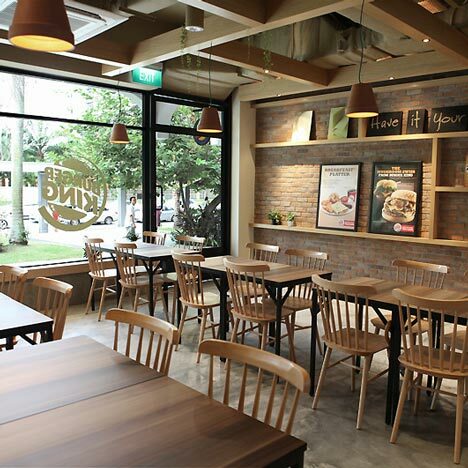 But it’s nice to see that any burger lovers can dine in a well designed place.